Late March to November. All year round in mild winters. cultivated (gardens, arable fields) and waste ground. It grows rapidly in bare, sunny spots. 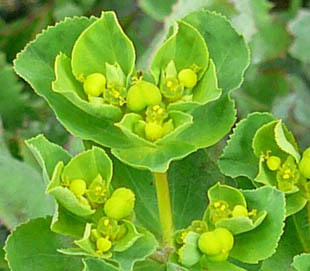 Sun Sprurge is an annual herb growing up to 50cm. The seeds are spread by ants. 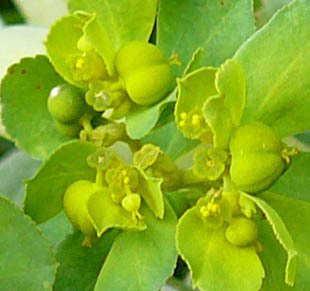 The leaves are oval and toothed. 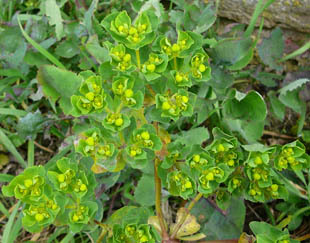 It is the only common spurge with toothed leaves.